Peter Dinklage just picked up a much deserved award for his role as the scheming but brilliant Tyrion Lannister in HBO's Game of Thrones. If you've caught pretty much any episode of GoT, you know Dinkalge wears his hair long and shaggy. Tonight, Peter Dinklage's Emmys man bun was the perfect way to pull up his character's signature unruly hair, and honestly, the style is totally on trend. After all, the man bun is basically the male equivalent of the lob at this point, right? I mean, Justin Bieber is sporting one after all. 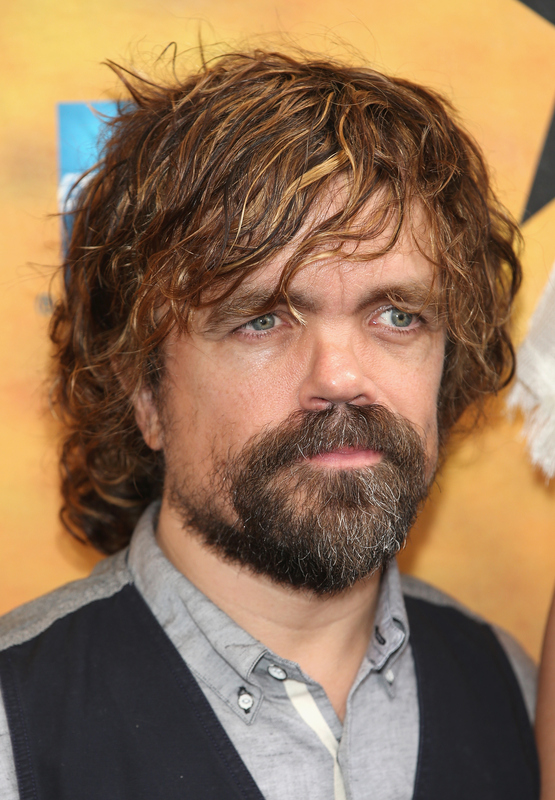 Dinklage's look makes total sense in the context of his Game of Thrones character. While I'm not sure that he's got the same agreement not to chop off his hair as Kit Harrington does, it's definitely grown out for the series. So, what better way to hold it back from his face than a messy bun? I mean, it's the approach I'd take in a pinch. Dinklage accepted his award with grace and with his shaggy lion's mane — yes, that's a Lannister reference — pulled back in a totally on trend way. While I'm guessing Dinklage didn't get ready this morning thinking about how in style his bun would be, I still love that he rocked it.